We know who your best friend is. And we would never ask you to replace your furry companion. But as a language learner, you’ll want to add MOOCs to your list of BFFs. 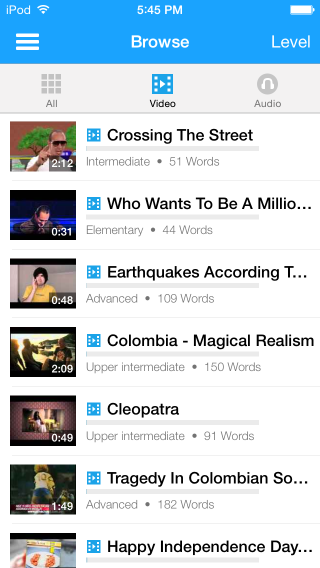 MOOC is both a fun word, as well as a fun way to personalize your language-learning experience. So what exactly is a MOOC? The acronym stands for Massive Open Online Course. Essentially, it’s a global classroom. Let that sink in. A global classroom, filled with students from all points on Earth and with a multitude of reasons for studying Spanish. 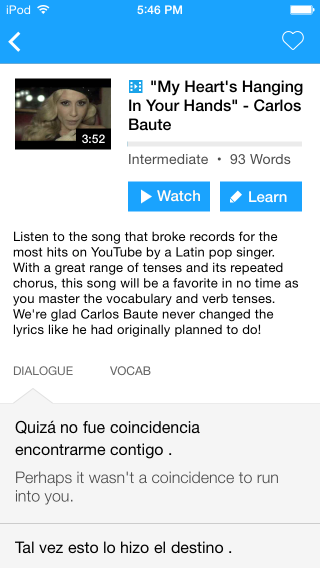 Pretty amazing—and totally beneficial if you’re on the Spanish-learning journey. 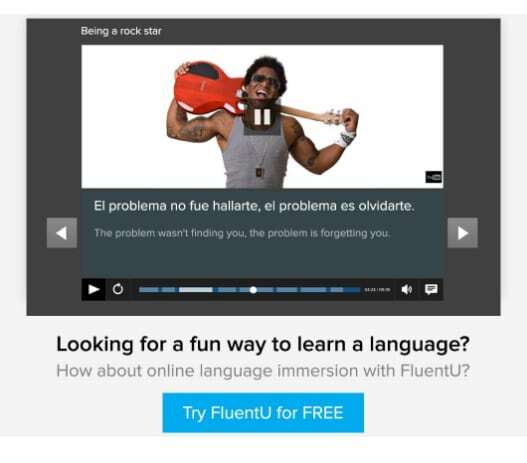 Why Learn Spanish with a MOOC? If you’ve already made the commitment to independently study, the self-paced coursework fits into your mindset. Most are developed by universities, so the content source is reputable and professors are often eminent in their fields. MOOCs make location irrelevant—you can learn anywhere, from anywhere. And since Spanish MOOCs are often affiliated with Spanish universities, the cultural points are relevant and authentic. Chat room discussions can include native Spanish speakers. If a Skype option is offered, practicing language and pronunciation with native speakers is an option that can’t be beat. Let’s face it, speaking Spanish can be an employment boost. The free courses usually don’t give college credits but some provide certification which can be enough to satisfy employment requirements. One of the biggest draws for signing up for a MOOC is that the flexible scheduling allows for group learning. Maybe you’re planning a family trip to El Salvador or Colombia—or another amazing spot where Spanish is the prevalent language. Learn as a family, and be prepared to speak like a local as soon as your plane hits the tarmac! And if you’re still not sure about MOOC learning, consider the fact that many MOOCs are free. That’s right, keep your dinero (money) in your pocket and learn on their dime. 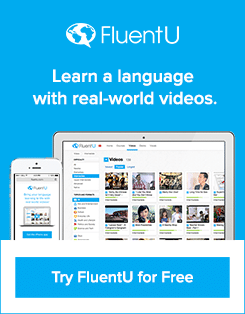 For more online learning, you can supplement your classes with the flexible and interactive program on FluentU. 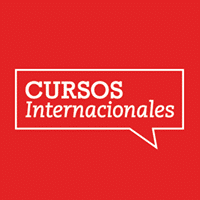 OfCourse is a global community of learning, with courses on a myriad of topics including some Spanish courses. “Conversational Spanish Made Easy” is a course to learn basic phrases and conversational skills that will carry you through everyday situations. There’s no prerequisite for the course, and with 75 lectures it’ll equip you to make the most of your study time. If you’re a beginner, you should definitely consider starting here. And since Spanish is spoken slightly differently depending on location, this course covers conversational situations in six different Spanish-speaking countries. “Master a Skill Bundle: Conversational Spanish” is actually three courses bundled into one package. There are 196 lectures in total, with over 13 hours of video content, so it’s sure to provide plenty of information! Its focus is to provide learners with an effective way to quickly grasp enough Spanish to get a basic working knowledge of the language. Makes traveling or day-to-day interactions with any Spanish speaker much less stressful! Iversity archives its courses so even if you miss the start-up date, the material is always available. If you’re an absolute newbie in the language pool, consider “Spanish for Beginners”—an ideal first MOOC! Currently, there are over 7,000 students enrolled in the course and, despite its conclusion, the message boards are still active. 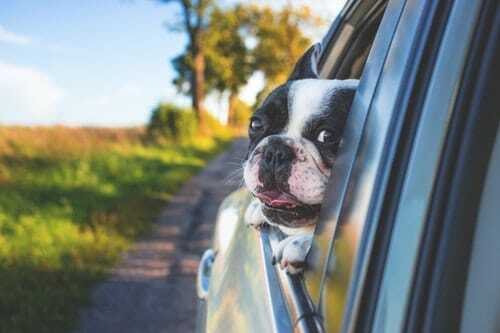 The discussions with other learners cover topics from weather to dressing in Costa Rica to grammar, so if you’ve got a pregunta (question), there’s probably a respuesta (answer)! Another bonus with this course is that it’s taught by seven professors. Not one or two, but seven! Each is a leader in the language field and all bring tons of expertise to the virtual classroom. They cover phonetics, vocabulary, basic phrases, interrogative elements and so much more. This technology company is based out of California and its focus is bringing education to global learners. They’re massive, and even offer programs to obtain your Masters degree online. The course schedule changes and courses vary (offering language, culture, even literature) so it’s a great resource. Keep in mind that if you don’t find a course this week that appeals to you, you should check back again soon, because courses are added often. You can sign up to have emails sent your way so when a course is added in an area of interest, you’ll know right away! “Learn Spanish: Basic Spanish Vocabulary Specialization” is designed for those who have no prior Spanish knowledge but who want to be able to read, write and speak Spanish. It’s a package of four courses that build on each other before culminating in a project. This is an awesome way to build a foundation with basic vocabulary and add words and phrases as they’re mastered. 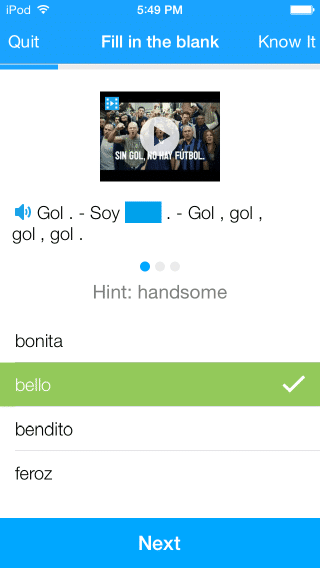 The goal is to build a useful vocabulary of the 1500 most commonly used Spanish words. It’s a perfect course for business use or even someone considering taking a trip. Cozumel, anyone? 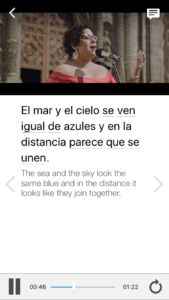 “Spanish Vocabulary: Cultural Experience” uses a series of interactive videos to show some common cultural experiences in Spanish-speaking society. Anyone who’s thinking of spending time abroad and wants to soak up a little culture before leaving will enjoy this course. Looking for an advanced course? Keep your eyes open and check your emails. As I’m writing this there aren’t any advanced Spanish courses available, but new courses are added regularly. 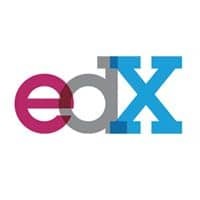 EdX is one of the biggest MOOC providers around. It was founded by Harvard University and MIT in 2012 and offers courses on nearly any topic from top-notch institutions. Their lineup includes both basic and advanced Spanish courses. “Basic Spanish 1: Getting Started” is a super course for beginners. Aimed at students who want to become conversant, the seven-week course nails down the basics. There are reading comprehension, writing, listening comprehension and speaking exercises focused on getting comfortable with everyday language. Gearing up to take the AP Spanish language exam? Then enroll in “AP Spanish Language and Culture” to prepare for test success! The course fine-tunes skills necessary for passing, so it’s sure to reinforce material beyond the basics. There’s no guarantee of scoring a passing grade, but the coursework is designed to reinforce the material that the test concentrates on. If you’re looking to really perfect your Spanish skills, take one of the courses taught entirely in Spanish, like “La España de El Quijote” (The Spain of El Quijote). It’s a course designed to give the historical perspective and social context behind some of the world’s greatest literary works. As if that’s not interesting enough, the whole course is a chance to practice Spanish language skills in real-world situations. This is a great course for anyone already fluent who’s just looking to keep their skills honed. Miríadax specializes in MOOC courses offered at Ibero-American universities and institutions. 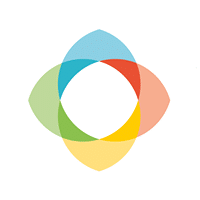 Their aim is to encourage social and collaborative learning through a variety of topics. I’ve taken courses through Miríadax and have never had a bad experience. I’ve learned a lot, interacted with interesting people and come away feeling like I’d made a wise choice. Since coursework is taught in Spanish, it’s necessary to be proficient in the language but like any university, there are courses taught on almost every subject. Learning something new in a target language is definitely worthwhile if you’re up for a challenge. Are you looking for overall good habits to improve your study time? Perhaps “Prelectura y relectura para comprender un texto” (Pre-reading and rereading to understand a text) is something to try. It’s designed to improve learning ability in any area, so it’s a course that has endless applications. Wave to me from across the MOOC classroom, because I’m adding this one to my learning program! Another course that seems amazing—completely unrelated to Spanish language learning but since it’s taught in Spanish it’s a perfect venue for Spanish practice—is “Estudio y aprovechamiento del agua en Islas y Terrenos Volcanicos” (Study and use of water on Islands and Volcanic Land). It’s a four-week course, but, to be honest, the MOOC presentation video is what really pulled me into this one. 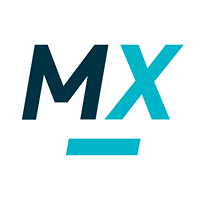 Miríadax course listings feature videos so you can see what you’re getting into while you confirm that your Spanish language skills are sufficient enough to keep up with the coursework. The courses are so varied that even students whose Spanish is beyond basic can sign up for “Introducción a Filosofía I” (Introduction to Philosophy 1) and discuss the theme of philosophical awareness and how it pertains to everyday activities as well as the historical impact. Yes, that might seem daunting to some. But surely there are those who would love to dive into philosophical discussions—in Spanish! Universidad de Salamanca (University of Salamanca) strives to offer Spanish language courses to foreign students. They aim to spread Spanish around the world and they seem to be succeeding. They teach more than 7,000 students globally and that, no doubt, is a lot of Spanish! The university offers “Español Salamanca A2” (Salamanca Spanish A2), which is a MOOC divided into modules to facilitate self-paced learning. It was created in accordance to the CEFR (Common European Framework of Reference for Languages), with the primary goal of bringing students to competency in social interaction and communication in Spanish. 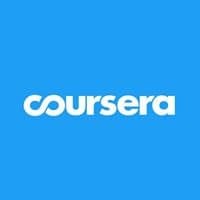 So if you’re looking for a MOOC to facilitate social interactions (for work or personal endeavors), this looks like a course to seriously consider. MOOCs are excellent opportunities for motivated learners and can be used as part of a language program to supplement your other language learning resources! Really, a massive, global classroom—what’s not to love?